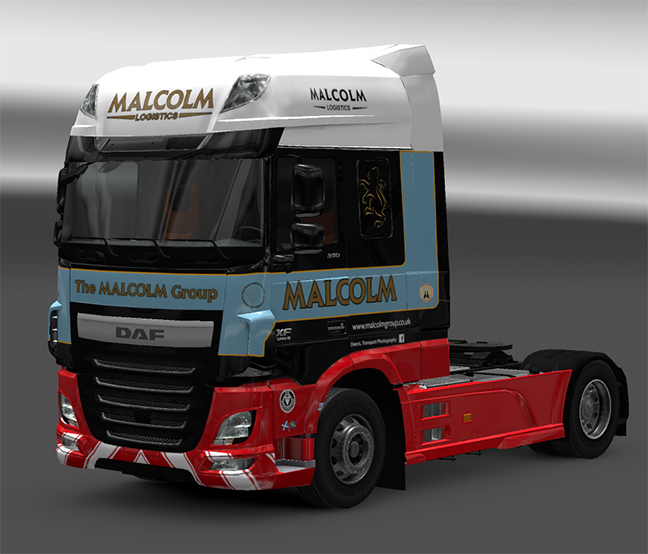 First up I have updated the Malcolm Trucks pack to fix an error and I have officially included the new DAF E6 in the old livery. Be aware this skin was made before I started using Ohaha’s DAF mod, so it is not fully compatible. Some custom parts will not be painted correctly. Secondly I have updated the Big Malcolm Mod to include AI traffic. Currently there’s 3 Scanias pulling the curtain/fridge/walking floor trailers. Please be aware that I have removed the charity trailer from the mod as it never really felt right including it since it was only ever pulled by Stobart. This removal does mean the game may reset the economy and cancel your current job. Note for ETS2 website owners: If you share my mods on your websites; please be aware that the BSM and BMM Google Links have changed with their latest versions. You may need to update download links.